Don't forget to go for eye screening. Cataract, glaucoma, age-related macular degeneration are eye diseases that can be picked up early and can help save your vision. 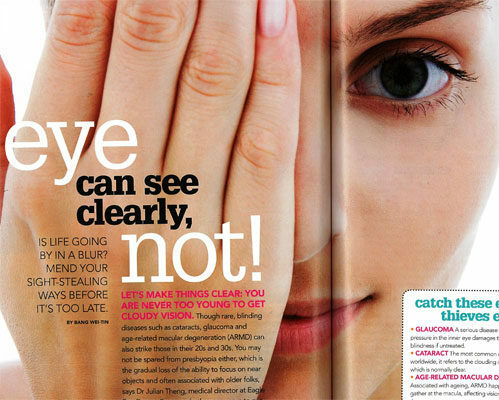 Learn more from Dr Lee Sao Bing in this article in Shape magazine.